No longer do you need to wait for equipment to arrive before sending a patient home. With the Max Healthcare Equipment Imprest Cabinet System you can have a range of equipment stored neatly and securely on premises and restocked daily. With a state-of-the-art ordering tablet located within the cabinet you can also reduce the amount of paperwork required and patients can even pay for the equipment via credit card without you having to do anything. 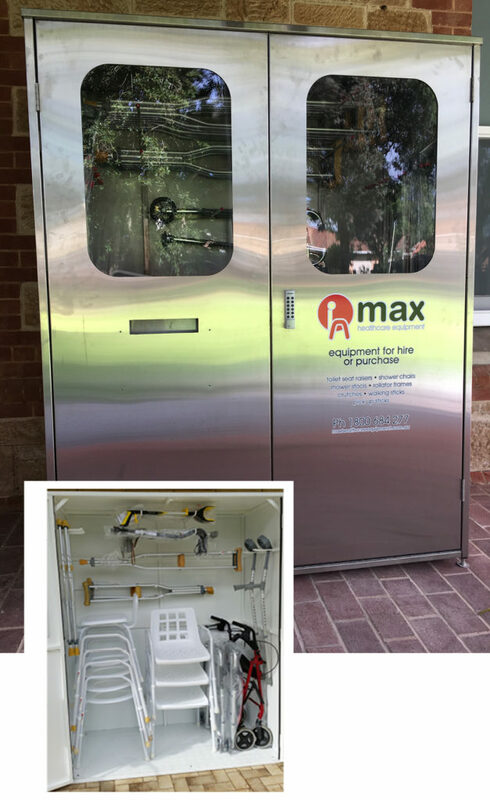 A number of hospitals around Adelaide have installed a Max Imprest Cabinet and are finding an immediate benefit in being able to access equipment on site. We can build Imprest Cabinets to any size required.